Condominiums are a popular property for many types of buyers. Some individuals purchase a condo as a vacation home while the low maintenance and affordability help make condominiums appealing to first-time homeowners. Condos are also a wise purchase for anyone seeking to own an investment property. Even with all the benefits condos offer, there is one catch. Condo refi rules are rather strict and can be a bit tricky. To best understand condo mortgage refinance regulations, and how to refinance a condo, you should explore your various options and discuss condo refinancing in depth with your chosen lender. What makes refinancing a condo more difficult? When looking to refinance mortgage rates, condo properties are often considered by many lenders to be a high risk refinance. This can mean condos are more difficult to find funding for and might offer higher interest rates than you’d expect. If you want to refinance your condo, you’ll need to meet two sets of loan guidelines: one that applies to you and another that applies to your condo owners’ association. Adhering to guidelines for your owners association is one of the major differentiating factor between refinancing a condo and refinancing a home – and it can create issues when refinancing your loan. Since rules and regulations for condominium refinances can be a bit difficult to comprehend, be sure that your mortgage lender covers everything with you and that you are completely clear on the terms and condominium mortgage refinance rates before you commit to a particular refinance mortgage plan. The questions you’ll be asked before refinancing a condo will look very different than what you’re asked when refinancing a home. For instance, a lender might ask the percentage of owners who occupy your units. They will certainly ask questions about your association, like if they are currently involved in any litigation. Lenders might also ask what percentage of owners in your association are 60 or more days delinquent. It’s important for a condo owner to meticulously document their current loan payoff schedule. Applicants with condos that have accrued equity may also be deemed more favorably. Equity is usually determined by some form of an appraisal. While some home refinances allow owners to skip the appraisal, it might be more difficult for condo owners to skip this process. 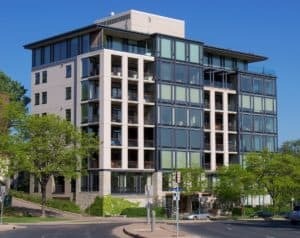 It’s especially sensitive if condos similar to yours were sold within the last six months, and they were sold for a price that doesn’t match your requested loan amount. Refinancing rates also depend on if your condo is an investment property. If you’ve moved out of your condo, the rules change – you’ll likely incur a higher interest rate for your refinance, and you may be required for a higher amount of equity to be given financing. What condo refinance rate product is best for you? Choosing to refinance a condo can be a difficult task given the tight rules and regulations put into place by many mortgage lenders. Make sure to do your homework and be well informed before attempting to apply for a condominium refinance mortgage. Similar to refinancing a home, condo refinance products are offered with varied terms – most often fixed or adjustable rates. Fixed rate mortgages are most frequently purchased as 10, 15, 20, or 30-year loan terms. ARM mortgages are typically bought as 3/1,5/1, or 7/1 loan terms. Both conventional and government-backed products can help homeowners achieve their goal of refinancing. One government-backed program, the Home Affordable Refinance Program (HARP), is especially desirable for condo owners. If your purchase mortgage for your condo is a conventional loan, your loan-to-value ratio is at least 80 percent, and your condo is not an investment property, you may be able to cut out the HOA interrogation. Investment condo owners should shop around for the best refinance mortgage rates. Condo mortgage refinance rates will vary from lender to lender so it’s important to get estimates on condo refinance rates before settling on a particular lender. Once you have selected a mortgage lender, calculate your monthly and total cost of the refinance. You can use a mortgage calculator for this bit. You’ll need to compare your current loan terms against the new terms you may be offered. Make sure to include all extra costs with your interest rate and monthly payment. Will it be of benefit to you if you refinance your condo? You should receive a Good Faith Estimate from your lender long before closing on the refinance mortgage. Be certain to examine this estimate closely and calculate the benefits of refinancing before you commit to a plan. If you’re having a difficult time securing a lender, you might consider asking a mortgage broker for assistance. Mortgage brokers can help assess your situation and place you with the appropriate lender, which could save you time and money in the long run. Next post: What are wholesale mortgage rates and how to secure one? Previous post: Should You Refinance Your Mortgage as a Homeowner Debt Consolidation Loan?